122 days old – it's a mums word..
My little monkey is 4 months old today. That’s 17 weeks, 122 days and 2928 precious hours. Crazy how when you’re pregnant 17 weeks drags, but now every day just whizzes by. My little bear has had a tough month. Although he’s a lot more alert, playful and giggly, he has also suffered from a cold for the last 3 weeks, as have I. He is also showing signs of teething and has lovely rosy cheeks a lot of the time. I can’t help but feel sorry for him, especially at night when he struggles with a blocked nose. He continues to be spoilt by all of my family and extended family, and he just loves the attention he gets, being the only baby. My husbands family live an hour and a half away, and Sami loved his first trip to visit his aunties, grandma, and great grandma this month. Although since being back we have struggled to get him back into a good routine at night (see previous post). Sleeping and naptime are my least favourite part of the day. On the feeding front, Sami feeds a lot less now, which has made a huge difference to getting things done and taking him out. For the last month he is still refusing my expressed milk in a bottle. 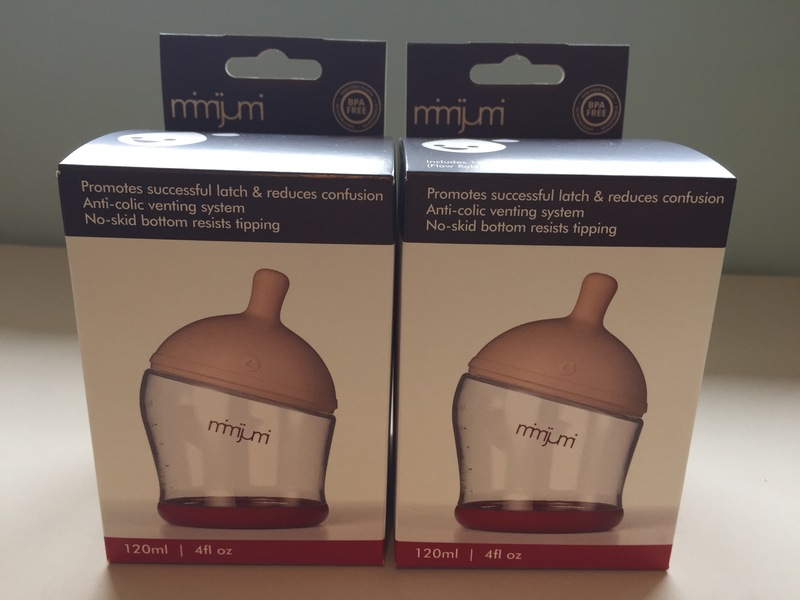 I am hoping that these Mimijumi bottles do the trick. They arrived this morning and I am so eager I have already unpackaged and sterilised them, so their ready to go. Keep your fingers and toes crossed for me. Sami needs constant entertaining, which can be quite difficult for me, particulary with bad sleep and early mornings. Trust my baby to be a super early bird. Thank god for the many helpers around me, and lots of new toy purchases. His new favourite is his rainforest themed Jumperoo. He is a little young for it, but we prop him up with cushions and only allow a few minutes of play at a time. One day he’ll be jumping away on his own! 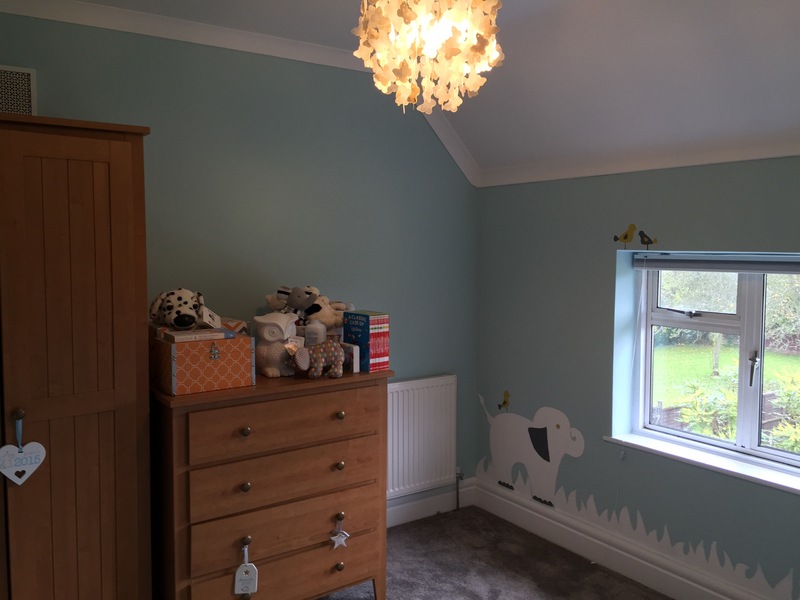 We’ve been very busy finalising Sami’s nursery. We were all set to move him into it at night three weeks ago, but then the dreaded sleep saga arised, putting a halt to our plans. He now has lots of storage thanks to 3 sprouts. 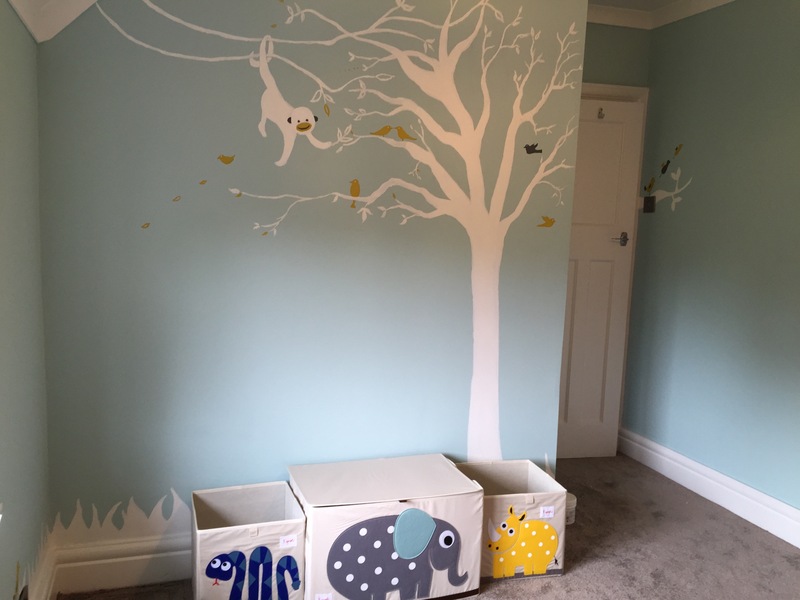 They have a colourful range of animal storage solutions, we picked three (an elephant, a snake and a hippo) which go perfectly with Sami’s jungle themed nursery. His rocking chair just arrived yesterday, which is the finishing touch, just waiting for daddy to come home and assemble it! Then, All that’s left is to move his snuzpod and we are good to go (only 4 months late, but we did have a house renovation and move the month before he was born). I am super happy as this month we have booked our flights and hotels for our summer holiday next year (it’s my sister in laws wedding but who needs an excuse for a month long holiday). Having not been away since February, I am already counting down to next July! Starting to make plans for it has made it more real, although when I return I will be back to work (sob). We have also had some amazing amazing news this month which I am so delighted about, but have to keep shhh for now! Super duper excited about this and just wish I could say more..
We used the same Jumparoo. Cicilia loved it!